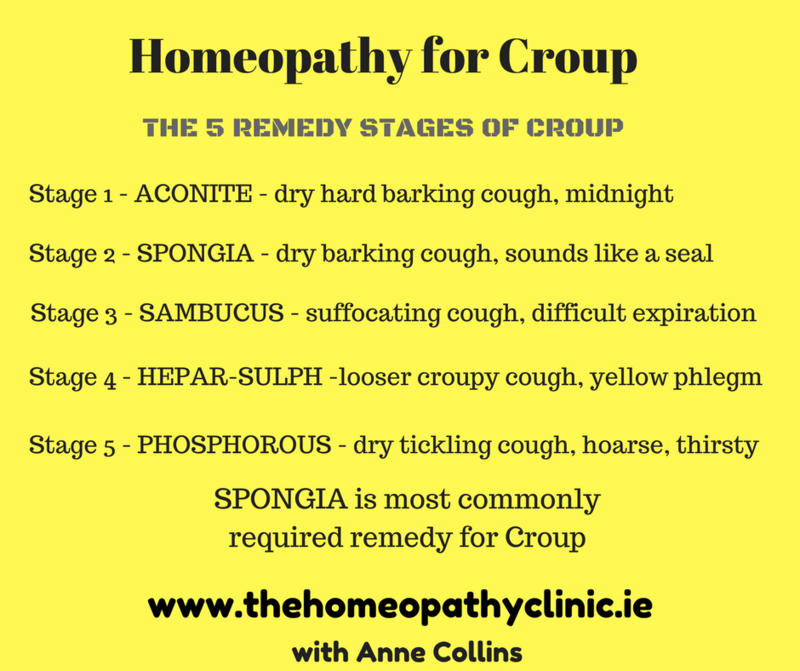 Here’s an image I put together with a very quick look at the top homeopathic Croup Remedies. Don’t forget there are lots of remedies for Croup, these are just a few of the more well-known ones. For more detailed information on Croup Remedies, please see HERE.